Where Is A Catalog Brand Headed? Once you pick a path, it's hard to get on the same path as other companies are on. For catalogers, the fork in the road largely began in 2001. This is when the industry chose to "believe" ... McKinsey told us that multi-channel customers were something like eight times more valuable than single-channel customers. Coupled with the dot.com debacle, the trend was toward integrating everything ... not fundamentally different than the "eliminate silo" movement of the past few years. The minute catalogers decided to integrate the online channel with paper, time forked ... online-only brands moved to integrate with online advertising, ultimately landing on Google/Facebook as the source of new customers. Algorithms decided which 40 year old customer would become a new customer. Greed (via Google/Facebook) is about to dry up the source of new customers. Retailers forked in a comparable path, putting all their eggs in the "malls drive traffic, traffic converts to online, and then the customer spends more in retail and online" thesis ... known as omnichannel. When customers were trained to no longer enter malls, new customers dried up, and the whole thing cratered. By putting faith in malls instead of algorithms, the source of new customers dried up when customers sat at home researching products ... on Amazon. Catalogers chose catalog co-ops as the source of new customers ... in the 2005 - 2010 timeframe this choice resulted in the death of list organizations and led to the death of diversity of names. Algorithms decided which 60 year old customer would become a new customer. Retirement is now about to dry up the source of new customers. Meanwhile, Amazon created their own fork. Everybody disregarded Amazon (#theyrenotprofitable) until it was too late (2008). When the Great Recession created panic, Amazon amplified a new business model. It's too late to compete against Amazon. They won. And we know our DNA has been set. We're not going to change our DNA overnight. Our customers have expectations. Change actions too quick (think JCP from 4-5 years ago) and customers are alienated ... they leave ... that doesn't work. So now it is time to pick a path. Let's think about each choice. Buy: My mix of annual income changes every year ... but one thing is constant ... the share of income coming from projects where somebody wants to acquire a catalog brand continues to grow. Between Private Equity and Catalog Holding Companies, the trend is moving toward consolidation. A standalone catalog brand possesses multiple merchandise categories ... those categories feed customers to each other ... customers who cross-shop categories fuel profitability. Consolidators will accomplish the same thing - each "brand" will act as a merchandise category, fueling sister-brands with inexpensive customers. We've talked about this for almost three years ... the trend only accelerates. This will create a thirst for more acquisitions ... because as individual catalog brands die, new ones must enter the Holding Company ecosystem to keep things afloat. Sell: One of the undeniable trends of 2017 is "fattening the file". It's common to see a company with negative merchandise productivity and positive customer acquisition counts. The company is outrunning the slow implosion of the business model by temporarily acquiring customers at high rates. This causes an outsider to perceive that the company is in "growth mode". 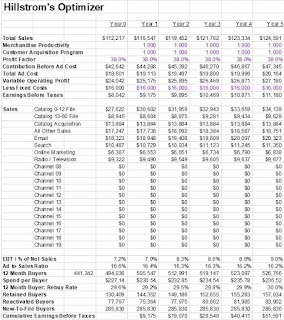 And to any outsider not running a comp segment analysis, the company does appear to be in growth mode. By masking the real problems, the cataloger appears more valuable, and consequently fetches a better asking price. Pay attention to companies that grow via paid customer acquisition but not via merchandise productivity ... these may not be a good buy. Amazon: Many of you are already making the transition from being a "brand" to being an "Amazon Vendor". It's easy, potentially profitable, and you lose your brand personality in the process, if you care. It's like aligning your political beliefs with MSNBC or Fox News. Plenty of folks will give you best practices for being a seller on Amazon. It may be right for you. It may be the end of you. Study your options carefully. Always remember that the customer is loyal to Amazon. Fork: Here's where things get interesting ... building a new fork in the road. The standalone catalog brand that survives will likely build a new fork in the road. With DNA set (60+ year old customer and staff with the DNA to put paper in the mail and have the paper create an online order), actions will need to change to change customer expectations. And when customer expectations change, the DNA of a cataloger will change and the future will be set in motion. What are the actions that will change? Meet the needs of a retiring customer ... needs that e-commerce / retail long abandoned. Entertainment - become more like the sports industry. Scarcity - limited inventory depth encourages the customer to act now. Separate experiences for the 60+ year old paper-centric customer and the 45-59 year old semi-digital customer, with attention and detail focused on the 45-59 year old customer (who represents the future of the catalog ... not the future, but the future of the cataloger). Financial rewards for the employees who deliver results in either the 60+ paper-centric arena or 50-59 year old semi-digital customer. Stop reliance upon Google + Facebook + Catalog Co-Ops. Become the opposite of Amazon. Focus on customer acquisition of the 45-59 year old semi-digital customer assuming that paper doesn't exist. Use the existing merchandise assortment as a bridge between 60+ and 45-59. Thoroughly analyze merchandising interests and browsing habits of the 45-59 audience and then personalize emails and landing pages and online advertising around the merchandise that the 45-59 year old desires. First Three Month Program: So darn important ... get that customer to a second purchase quickly by not using discounts/promotions. If you read this and say "how the heck do I do that" then your DNA isn't congruent with what is coming. My opinion only - this is where the catalog brand is headed if Acquisition / Being Acquired is not an option. If you're not part of a Catalog Holding Company, then I perceive this is what needs to happen. Each component of this equation has a time lag associated with it. You can change your Actions tomorrow (I know of CEOs who changed their Cyber Monday strategy at 8:30am after seeing what the competition did). Customer Expectations change over the mid-term. The customer sees your discount strategy via email campaigns and compares it to what everybody else does and then shops Amazon and all of those things impact Customer Expectations. Over time. DNA hates change, and for good reason. DNA "can" change over time - via mutations, right? Amazon comes around ... a true mutation ... a mutation twenty-years in the making. Look at how slow we've been to change in response to a brand that's been in our face for two decades! Here's what I've learned ... you don't change the DNA of a company by asking a company to change their Actions. You have to change the DNA of the company - and that takes time. P.S. 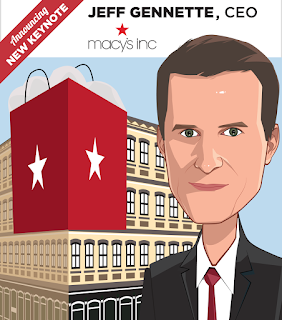 : If Macy's is valued at a bit more than six billion dollars and Macy's real estate is valued at a bit more than sixteen billion dollars, does that suggest that the retail operations are worth a negative ten billion dollars (click here)? That's what the omnichannel thesis that you were told by vendors / trade journalists / consultants / researchers / pundits that you had to execute bought you. Multi-channel / omnichannel nonsense is not what is right for you. At all. Do what is right for your business, not what is right for those who support your business. Two years ago, I gave this presentation at a conference in New England (click here). It's one of the most popular presentations I've ever given. It's also a presentation that went absolutely nowhere. No business for me. And not a lot of action from the nearly 20,000 folks who read through it or heard the presentation in person, based on what I've been told. So the outcome was unpopular. If I give a presentation that does not align with the DNA of a company, it's not likely that the ideas will take hold, is it? Even if the recipients of the message must change, how can change happen unless you address three issues? For instance, maybe you cater to a 61 year old customer. Some pundit tells you that you must "get younger or you are dead". How do you get younger? 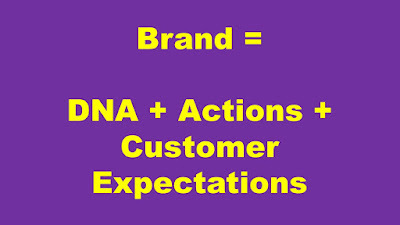 Your DNA has been developed to do everything to please the 61 year old customer. The DNA will reject an online marketing effort to speak to a younger customer - it's not developed for that, is it? Your actions consistently cater to the 61 year old customer, right? Your merchandise is designed to speak to this customer. Your participation with the co-ops yields an algorithm-driven 61 year old customer. Your online marketing efforts lead to a customer sourced by Google who visits your website and says "oh, this is for old people" and then bounces. Anything you do to change is met with resistance from your 61 year old customer, who has high expectations for how you will serve him/her. 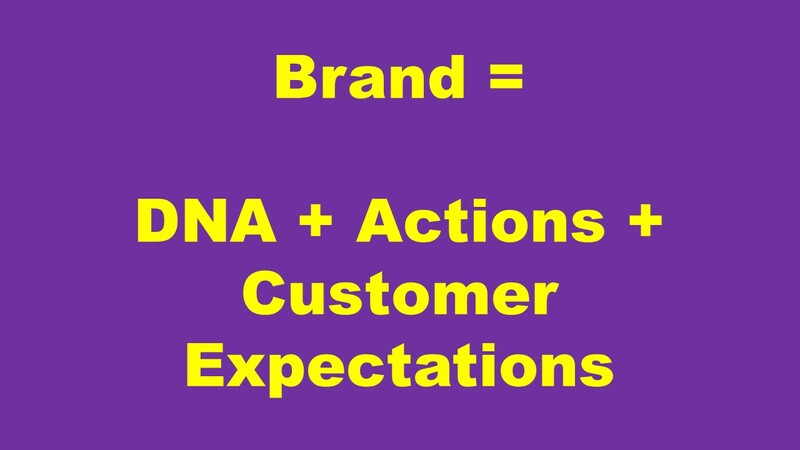 As a presenter, I had to learn that I have to address DNA / Actions / Customer Expectations if I want change to happen. If I don't address all three, change won't happen. It's Cyber Monday. The Trade Media is frothing at the month, praising "brands" for losing money so that the Trade Media can make money selling clicks to vendors ... picking winners and losers as if this were a sports event. It's people's careers that are at stake. No winners. No losers. People. On Twitter, I've been experimenting with an equation that attempts to explain why companies change or explains why change doesn't happen. Cyber Monday is a classic example of how the Trade Media and Vendor Community impact what a Brand is. By cheerleading 50% off promotions, we change a "Brand". How? We change customer expectations. When the customer expects 40% off or 50% off on Cyber Monday, the customer does not "have" to purchase anything on November 6. When the customer doesn't buy anything on November 6 at 20% off and instead buys on November 27 at 40% off, the "brand" makes less money. When the brand makes less money, various Actions are changed ... cut back on staffing ... squeeze vendors for money ... cheaper products ... and those Actions are then noticed by customers, further changing Customer Expectations. Worse, the changes impact the DNA of a "brand". With a decade of Cyber Monday nonsense embedded in our DNA, many of us have changed our DNA. Many of us changed our Actions in response to Cyber Monday. As a result, Customer Expectations have been changed. The result is a change in what our "Brands" represent. And we wonder why Amazon is crushing everybody? A few years ago, a CEO told me that it was important to be "competitive" on Cyber Monday. 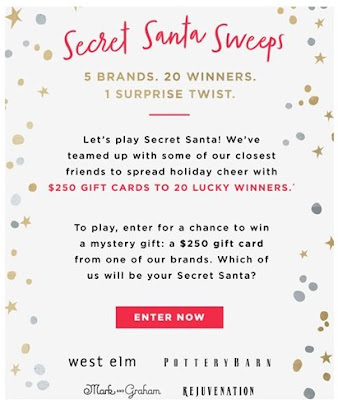 The CEO made no mention on being competitive the day after Cyber Monday. We've been led to believe a lie ... we've been led to believe that it is important to not generate profit in an effort to get a day of publicity. Be honest ... why is it unimportant to compete the day after Cyber Monday? Our actions change customer expectations. Our actions eventually change our DNA. Then outsiders will beat us up because we're unable to "change". Either way, the outsiders get clicks that pay the bills at our expense. Read the story about the Tucson, Arizona diner (click here). They charge less for pancakes with all sides than they charge for pancakes with one side. Think about that for your last-minute Cyber Monday bonanza. If you love to give stuff away and lose money (which is what Cyber Monday is all about - losing money at scale), why not give away every item a customer adds-on to an order if the customer buys a high-profit-margin item? 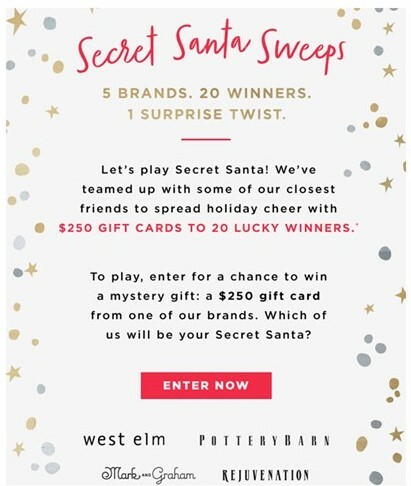 Click on this story about Wal-Mart ... 20,000 Christmas parties with catalogs and stickers to point out preferred gifts. Since so many of you love catalogs ... why not try something similar to this? Try something! P.S. : When I mention low-cost / no-cost customer acquisition programs, so many of you (especially in traditional companies) grumble. Will you grumble if I tell you that a famous Venture Capitalist leverages the same strategy (click here)? By the way, go read the comments as the readers beat the living daylights out of each other and the author. Mind you, the author made millions investing in companies with low-cost / no-cost customer acquisition programs, but have at it! We've gotten to a point where average professionals who have not leveraged tactics beat up experienced professionals who have success, and for what? Click on this one, folks. Half of you will find this frustrating, half will find it exciting ... but put your feelings aside and think about what you could do (in alignment with your "brand" of course) to gain attention, ok? 'Cause that's the point of this post. We need to find clever ways to find new customers ... we're not going to survive by constantly flooding Google and Facebook and a handful of other sources with cash. So let's get clever, ok? P.S. : Petco worked with Instacart in 2015 to deliver pet food in less than an hour and teamed up with DoorDash to provide delivery straight from Petco.com (click here). A reader forwarded this email from Blue Apron ... they're partnering with the Williams Sonoma family of brands. Speaking of Williams Sonoma, they're buying an Augmented Reality company, spending $112,000,000 in the process (click here). It's time to pick quality partners, isn't it? The fourth solution comes to us from the Daniel Wiltse. Click here to read the report. Month 80 = $81.9 million. Month 81 = $81.3 million. Month 82 = $80.5 million. Month 80 = $84.5 million. Month 81 = $85.6 million. Month 82 = $84.5 million. 41.3 Trillion. Sisifo's Page Team maintains the lead and wins the competition!! Here again is the winning solution (click here). My goodness, this wasn't an easy exercise, was it? 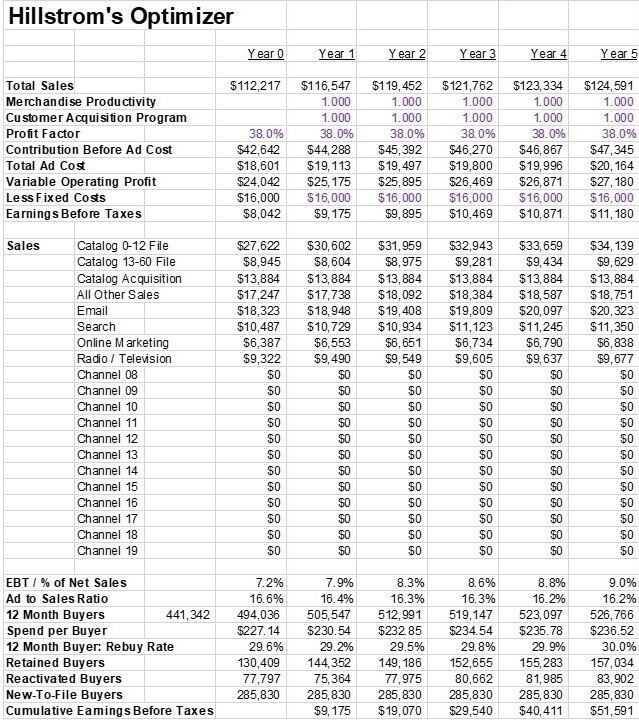 Notice how hard it was to generate a forecast that showed declining sales! Forecasting chops are sooooooo important. I'm not sure why we de-emphasize them in favor of being able to get 7 out of 10,000 to purchase from a personalized retargeting ad, but we don't always make good choices, do we? Forecasting is where we need to spend time in 2018. We need to be able to see the future. If we can accurately see the future, we can react to the future. This is one of the biggest reasons why I am focusing on Hillstrom's Optimizer in 2017-2018. We need to be able to see the future, and we need to be able to adjust our trajectory based on what our simulations tell us. How about giving the four teams/individuals that participated some props for putting their guesses out there for all to see? P.S. 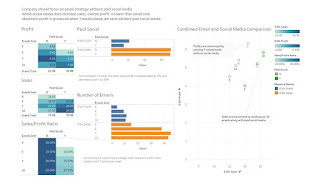 : On Twitter, Daniel submitted a visualization summarizing the results of a test. Here is what Daniel submitted - give it a peek and see if there's anything there you'd use to present the results of your tests, ok? The third solution comes to us from the Jack N. Dwyer. Click here to read the report. Month 80 = $82.2 million. Month 81 = $82.3 million. Month 82 = $82.2 million. 4.0 Trillion. Sisifo's Page Team maintains the lead. Solution #4 is tomorrow - we'll see how this solution compares! The second solution comes to us from the Sisifo Page Team. Click here to read their report: http://sisifospage.tech/2017-10-30-forecasting-bsts.html. Month 80 = $81.8 million. Month 80 = $81.5 million. Month 81 = $81.2 million. Month 82 = $81.0 million. 0.4 Trillion. This solution takes the lead! Solution #3 is tomorrow - we'll see how this solution compares! Month 80 = $81.7 million. Month 81 = $81.5 million. Month 82 = $81.3 million. The first solution comes to us from Zlatka Staykova and Bill Bass. Click here to read their report, which is well written and identified a challenge in the dataset that needed to be discovered. Solution #2 is tomorrow - we'll see how this solution compares! Stop what you are doing right now and go read this (click here). Yes, a conference is going to make sure you get to attend for free, as long as you sit there and absorb a whole bunch of vendor content. Can I tell you a brief story? Back in the day, I was a young, dumb professional on vacation. I was broke. 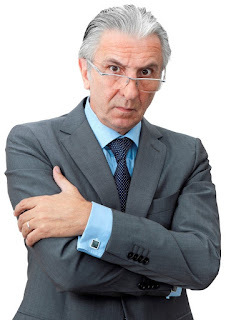 And in an effort to save a few dollars on a hotel room, I agreed to sit through some stupid timeshare presentation ... mind you, I couldn't afford a hotel room, but somehow I might be able to afford to purchase a timeshare if I sit through a presentation so that I am allowed to spend less on a hotel room? Conferences moved in two separate directions. Vendor-Driven and Entertainment-Focused and Big. Important Information and Attendee-Focused and Small. Choose your conference attendance carefully. Your attendance validates the business model employed by the conference organizer. P.S. : This article about "the missing years" in US Soccer (click here) is completely relevant to your business ... in my project work, I continually observe "missing years" where the merchants failed to introduce enough new items ... and the decision haunts the company for the following 4-5 years. New Merchandise is really important. How much time do you spend analyzing New Merchandise? Turns out that Hillstrom's Optimizer is exactly what many of you are looking for. Who knew? This is the most popular topic / product I've introduced in four years. Business hasn't been this good in a long, long time! For pricing details, click here, ok? Get your slot for January / February before they are gone. Demand is very, very high right now. P.S. : New Macy's loyalty program tries to get existing customers to spend more (click here). P.P.S. : This is what is coming if customers don't spend more #mustread (click here). Debt might be another reason Hillstrom's Optimizer is so popular right now. Business fiction, readers ... if you don't like it, read this article about tearing down silos, ok? Kevin: Craig, you look like you swallowed a goldfish. "Catalog" Craig Paperman: One of my analysts told me I was an idiot. Kevin: And you fired her? Craig: No, no. Lambasted. Demeaned. But most certainly not fired. HR runs a tight ship. Craig: She said I was an idiot because I told her that our customer base is loyal. Kevin: What is your annual twelve-month buyer repurchase rate? Craig: That's a poor KPI. Kevin: We all compare the metric against what everybody else publishes. What is it? Kevin: That's the average across my entire client base. Craig: That's what my analyst said. I told her she was wrong, she tried to explain her logic to me, I told her she was wrong, she told me I was an idiot. Do you see what the problem is? Kevin: I think I do. Craig: Where does an analyst get off telling me I haven't cultivated a loyal customer base? Kevin: It's her job to report honestly on what she sees. Craig: That's not her job. That's never been her job. It's her job to support me. Craig: If I'm in a meeting and the CFO says our customer base isn't loyal and I know that Gretchen ordered three times a year for the past ten years, then I need an analyst to prove that Gretchen purchased three times a year for the past ten years. That's what an analyst does. Kevin: I thought an analyst was supposed to generate profit for a company? Craig: If that were true then the Executive Team, nay, the "C-Suite" would be comprised of Analysts. Kevin: So your analyst tells you that 37% of last year's customers purchased again this year and this is bad why? Craig: Because my customer base is loyal. Customers love my brand. Kevin: But they don't. Some customers love your brand. Most deal with your brand on a transactional basis. Craig: My customers are loyal. Kevin: You have a hundred customers buying in 2016 and only thirty-seven buy again next year. There's nothing wrong with that. Craig: We hear from our loyal buyers all the time. Connie from Redgranite calls us all the time. She spends two hundred dollars a month. She talks to our call center employees for two hours at a time. They listen to her, and do you know why? Because she's a loyal customer. Kevin: I bet she is. Craig: So I don't need an honesty-based analyst telling me my customer base isn't loyal. I've got Connie on my side. Kevin: You can have tens of thousands of loyal buyers and you can have a 37% annual repurchase rate. You can have loyal customers and yet be utterly dependent upon new customers. Both can happen. Craig: I go to meeting after meeting. We all talk about how we can get the loyal buyer to spend more with us. We want a bigger share of her wallet. Kevin: Why not get the wallets of two customers instead of a bigger share from one customer? Craig: That's a lousy narrative. When customers are loyal and spend a lot of money, our work is validated! Craig: It means the catalog we sent worked. It means the merchandise we offered worked. It means the discounts and promotions we applied to a purchase worked. Kevin: If a customer is loyal, it means you did a good job? Craig (Interrupting): We're not changing our focus to customer acquisition. Kevin: But your metrics suggest you kinda have to shift your focus to customer acquisition! Craig: Do you have glue in your ears? It's fun to figure out how to get customers to purchase again. And your work is easily validated. Customer acquisition is imprecise and unfun. Kevin: If you double the number of new customers this year, you'll have double the number of loyal buyers in a few years. Well, not quite, but you get the message. Craig: But I wouldn't have done anything to earn the loyalty. Kevin: Your customer acquisition efforts earned future loyalty. Craig: I'd rather earn the loyalty by offering 40% off on a postcard. It's more fun. Kevin: You're not in business to have fun. Craig: Of course we are! Kevin: Is that why you don't like online marketing? Craig: It's no fun. It's mechanical. A 40% off postcard, now that's living!! Kevin: So the reason you don't like customer loyalty and prefer customer loyalty is because customer loyalty is fun and customer acquisition is mechanical and you get credit for the work you do to cause customers to become more loyal? Craig: That's why I get up at 5:30am. Kevin: Shouldn't you get up to do what is best for your business? Craig: Loyalty work via paper is exactly what is best for my business. Kevin: I think I've heard enough. Craig: Isn't this where you tie things up in a bow and give me a lesson that I'll never forget only that I'll immediately disregard the tidbit the minute I walk back into my office that is furnished with a heated leather floor? Kevin: What kind of floor? Kevin: Look, most of my client base possesses an annual repurchase rate between 30% and 40%. Most of 'em. Some are lower! Some are higher. But that's the average. That means you have a small number of loyal buyers, a large number of transactional buyers, and a dire need to find new customers. It's fine to manage this type of business model. 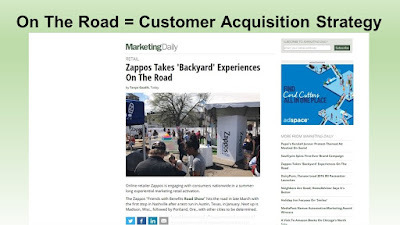 The key, of course, is to allocate the majority of your marketing efforts around customer acquisition activities. Craig: Can I go now? Kevin: Are you going to retain anything I told you today? Craig: Yeah. I'll remember that you said I'm not in business to have fun. It's a chip on my shoulder that will motivate me to cause my customer base to become even more loyal. Kevin: And how are you going to accomplish that? Craig: I'll add four pages to the Cyber Monday catalog. P.S. : JCP fires their Chief Merchandising Officer (click here). I do not live in a catalog household ... and my wife and I haven't purchased from half of these companies. And yet, within two days this is what floods the mailbox. This is what happens when we let the vendor industry drive the agenda. Co-ops determine who receives catalogs, while your print-centric vendors offer discounts to get you to mail your catalogs together with competing catalogs. You save a few pennies. There's close to a thousand pages of merchandise laying there on my counter top. When is the last time you read a thousand pages of content you wanted to read? We can't even get 1 in 5 customers to open an email, much less take time to read through a thousand pages a week for the next six weeks. Test not mailing unwanted catalogs. Test books front-loaded with winning merchandise. Do something your vendor partners tell you not to do. P.S. : Return on Relationships? (click here).